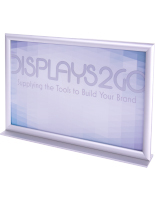 These 11x17 sign holders with base showcase graphics in a vertical orientation when placed on countertops. 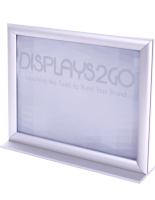 When placed on walls, the metal frames with a clear plastic lens display their image horizontally. 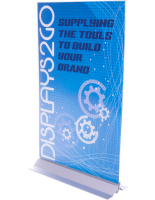 The sign holders with base feature an adhesive underside that allows both of these placement options. 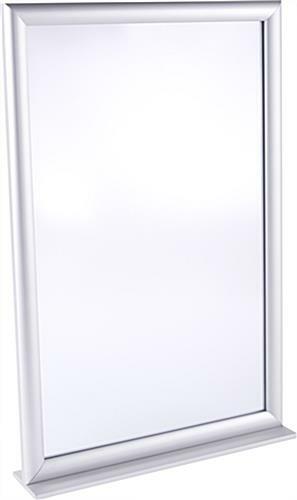 The fixtures are made of durable metal and feature a silver finish that goes with any environment. 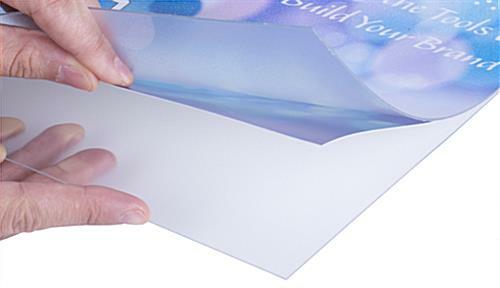 The sign holders for countertops and walls also offer a clear plastic cover that protects images from dust and moisture. 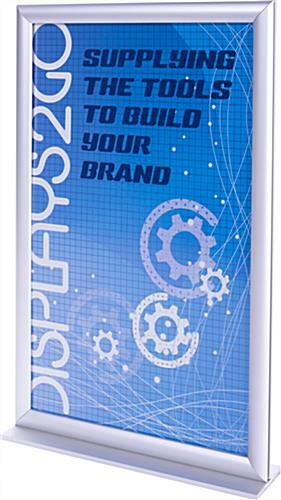 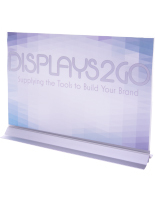 The vertical stands have a side insert design that makes it easy to install or replace graphics.